“Prevention is key” – Acting Riau Governor A Rachman. Nine fire-prone villages are involved in the Programme. Apart from raising awareness, APRIL Group will provide them with fire management good practices, training and equipment for land clearing. This builds on the pilot programme in 2014 that involved four villages, in which one was kept fire-free and the total number of fires in the villages was halved. (More on The Jakarta Globe). APRIL Group has invested USD 6 million on firefighting equipment and spends USD 3-4 million annually on fire suppression. This Fire Free Village Programme strategically complements existing efforts by building ground-up awareness and capabilities in fire prevention. 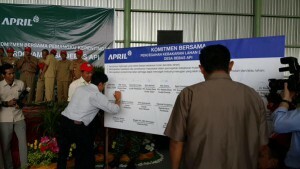 Supporters of the Programme include Masyarakat Peduli Api (MPA), the local government, police, military and the Provincial Disaster Mitigation Agency (BPBD). The Programme launch was attended by guests-of-honour former Indonesian National Armed Forces (TNI) Chief Commander General Moeldoko and Acting Governor of Riau Arsyadjuliandi Rachman. 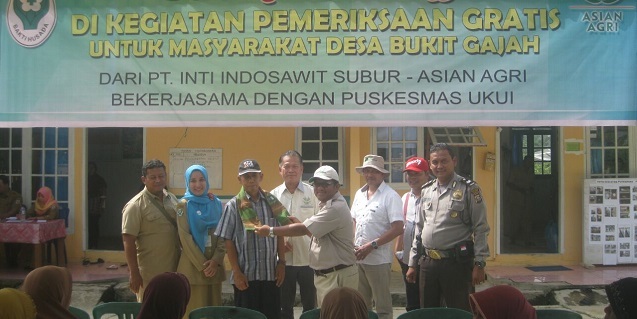 They were joined by Pelalawan Regent HM Harris, Chairman of Parliament Pelalawan Nasarudin, members of the Regional Leadership Communication Forum (Forkopimda), members of Military Command Post Danrem 031 and local NGOs Rumah Pohon and Blue Green. 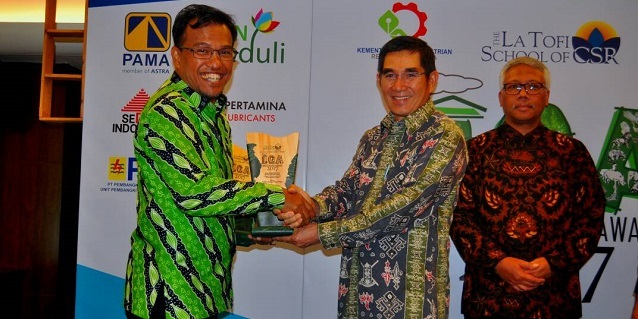 NGOs Rumah Pohon and Blue Green will assist the Programme partners in identifying and supporting alternatives to fire as a land management tool, supporting community fire crews and raising awareness of the environmental and economic impact of fire and haze. 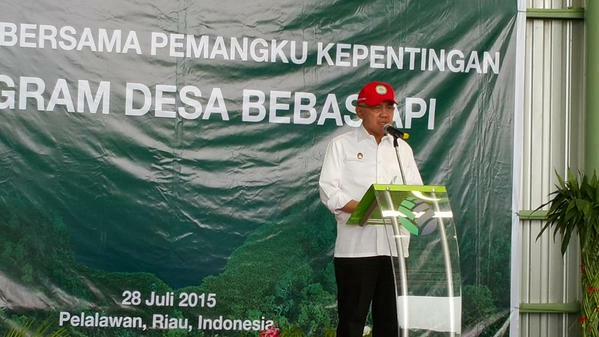 Fire prevention is a collaborative effort between government, private sector and community. We will work with the community to provide solutions to sustainable farming without using fire. 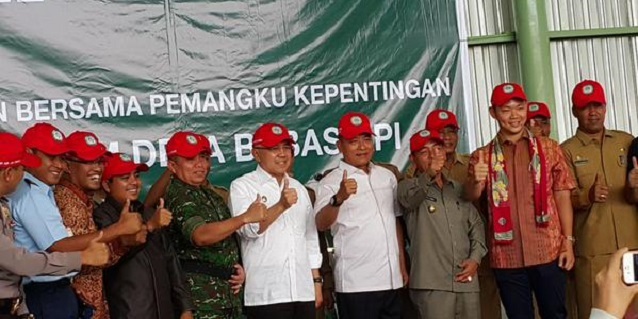 RGE Director Anderson Tanoto shared in interviews with media and on his Twitter that the focus was now on prevention, and that investments will put into community-based efforts to prevent fire. 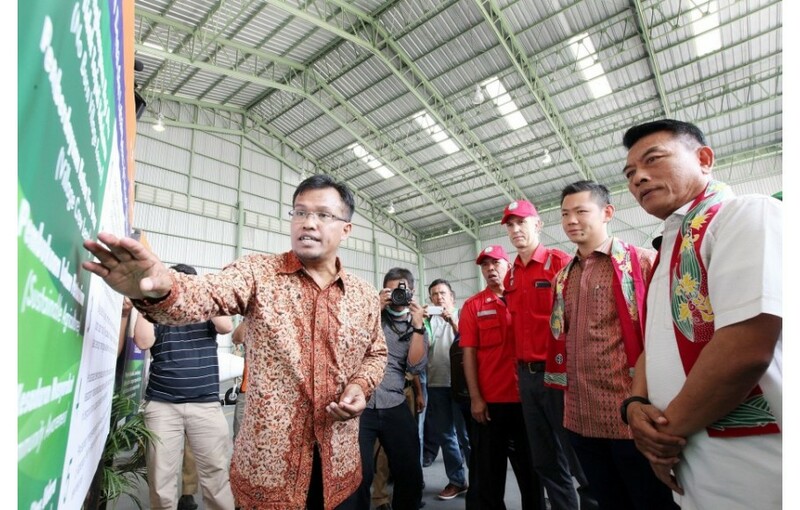 Mr Tanoto cited the operating costs of operating a helicopter for six hours of fire-fighting at $15,000, money that could be “better spent on the community to prevent fires”. These views were echoed by General (Ret.) Moeldoko, who added that the provision of equipment and assistance for land preparation as a means to fire prevention would be a better alternative to continual spending on fire suppression. 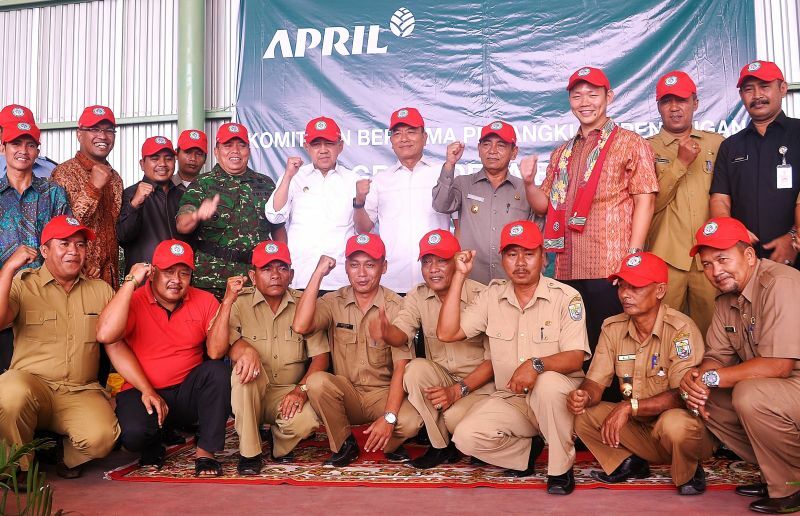 This latest announcement showcases how APRIL Group has taken its business principle of “doing good for the community, good for the country before achieving what is good for the company” to another level with the involvement and participation of the community, local government, military and NGOs in a concerted effort towards a common goal that is beneficial not only to all parties in the Fire Free Village Programme, but also the neighbouring countries. The Programme is also in line with APRIL Group’s sustainability policy.